Join our mailing list for a 20% discount on your first Fearless Books order! 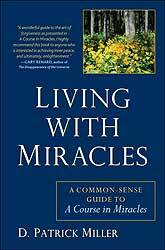 AND Living with Miracles (guide to studying ACIM). Free shipping within the US. Save $2 plus shipping. In his excellent new book, Living With Miracles, D. Patrick Miller gives us a wonderful guide to the art of forgiveness as presented in A Course in Miracles. I highly recommend this book to anyone who is interested in achieving inner peace, and ultimately, enlightenment. The best book on A Course in Miracles that I have ever read. With this work, D. Patrick Miller steps to the front rank of authorities on the Course. 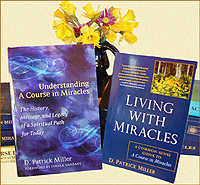 D. Patrick Miller gives a very readable and understandable perspective on an extremely difficult set of books, A Course in Miracles. As a long time student of A Course in Miracles, he appealingly reminded me of its basic teachings. A person new to the Course will find that reading this book will speed one around the "mysteries, hairpin turns, and ego-dropping challenges" it presents. The mysterious teaching known as A Course in Miracles has touched millions of lives. And yet the Course can be surprisingly difficult to navigate. From its often-complex concepts about the nature of the ego, reality, and love, to the many intense personal changes it can bring into readers’ lives, A Course in Miracles can present a challenge to even the most motivated of students. Now, D. Patrick Miller — the leading historical chronicler of A Course In Miracles and a highly respected authority on its teachings — provides the definitive how-to manual for engaging with the Course. His guide distills years of hard-won insights and helps newcomers and veteran readers navigate the sometimes-intense experience. Living with Miracles is designed so that no one feels unmoored and lacking guidance when approaching the Course, even for the first time. It provides stories from practitioners around the world who reflect honestly on their often uplifting, sometimes challenging experiences. Miller guides the reader through the most common emotions, reactions, and questions that arise when studying the text; provides insights and tips about pacing yourself, as well as when and how to take breaks from the study; and gives advice on working through early misconceptions and difficult later developmental stages. He also provides greatly useful and engaging historical material, and a resources and appendix section with ideas for those looking to continue their study and immerse themselves in this remarkable spiritual teaching. I have joined an ACIM group and purchased the 3-in-1 massive tome that is ACIM. Every page is a mystery and I wanted help in getting an overall view of the Course. Would this be worth my time? D. Patrick Miller's book provided me with exactly what I was searching for. He explains the purpose of ACIM in easy to understand language. He puts it in context with other spiritual paths and helpfully details why it is the opposite of New Age thinking. His book provides excellent examples of how specific principles might be useful, from his own life, and from letters he has received from others. I wrote many pages of notes, which I will type up and keep as a handy explanation of the many deep concepts of ACIM. Only someone who had gone through many trials in his life and been able to work through them with an ACIM perspective could have written this book. I appreciate the effort this must have required to write. 1: What is A Course in Miracles? A Course in Miracles (ACIM) is a modern spiritual teaching, self-described as a “mind training,” that leads its students toward a radical view of reality based on an intense discipline of profound forgiveness. 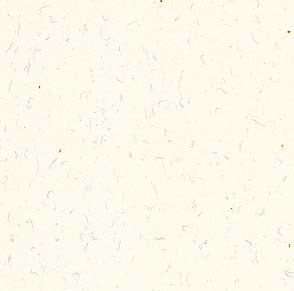 It was first published as a three-volume set of books in the US in the mid-1970s and has since sold over two million copies in twenty languages around the world. Now published as a three-in-one compendium by the Foundation for Inner Peace in California, the standard edition of ACIM comprises about 1200 densely packed pages, divided between a lengthy Text which lays out the basic philosophy; a shorter Workbook of 365 daily meditation lessons; and a brief Manual for Teachers that includes a “Clarification of Terms” and other explanatory material. The Course was originally written down in shorthand by a Columbia University psychology professor named Helen Schucman by a process she identified as “inner dictation,” and she consistently refused to take credit for its message or ideas. The prose itself is expressed in a first-person voice clearly identified with Jesus Christ, offering a radical correction of some fundamental principles of modern Christianity. Not surprisingly, the nature and source of this authoritative voice have sparked much discussion and controversy over the real authorship of ACIM. Schucman worked for seven years in secret with her supervisor at Columbia, William Thetford, to complete the recording and transcription of the Course, but only spoke about it once in public before her death in 1981. Thetford also declined to become a spokesman for ACIM before he passed away in 1988. While not the basis of a “religion” in the usual sense, ACIM has at least several million students and countless study groups devoted to it, and hundreds if not thousands of self-appointed teachers. It has strongly influenced a wide array of thinkers, writers, and business leaders, including Marianne Williamson, Oprah Winfrey, Wayne Dyer, and John Mackey, the founder of the Whole Foods supermarket chain. Its influence was central to the founding of such research and service organizations as the Institute of Noetic Sciences and the Attitudinal Healing Centers (also known as Corstone). Although often identified as a centerpiece of the so-called “New Age,” ACIM actually contradicts key elements of New Age thinking and has deeper philosophical similarities to eastern Vedantism, western Gnosticism, the 18th century “immaterialism” of philosopher George Berkeley, and modern transpersonal psychology. While it frequently uses Christian terms such as God, the Father, the Son, and the Holy Spirit, the message of ACIM is decidedly not conventionally Christian, which has led to vehement criticism of the teaching in conservative Protestant and Catholic circles. In practical terms, the Course is designed to serve as a self-taught handbook of personal transformation. It provides both a comprehensive theory and a demanding daily practice of surrendering ordinary perceptions, conventional thinking, and comforting beliefs in favor of living by the moment-by-moment wisdom of an instinctive goodness. The Course calls that active wisdom the Holy Spirit, and suggests that anyone can learn to be constantly guided by the Holy Spirit through the means of forgiveness. What the Course means by “forgiveness” goes well beyond popular usage of the term – but more about that later. What’s in our minds that’s getting in the way of the love that is really our nature? It’s not primarily hate or selfishness, as one might expect. According to ACIM, those negative drives are only the ego-driven symptoms of what’s actually in the way: our fundamental beliefs that the everyday world around us is real, that we all live and die in separate bodies with individual minds, and that time and space limit our existence. Those beliefs seem like common sense to almost everyone. The Course asserts that such beliefs are not only mistaken, but in fact constitute madness. To know what love is – and to live by its truth rather than merely believe in it – we must gradually surrender the root beliefs that feed our collective insanity. In other words, we must learn to see ourselves and relate to each other as spiritual rather than physical beings. The Course asserts that we live in our minds, not our bodies, and even the conviction that you have a mind separate from everyone else’s is an illusion. Where other spiritual paths may urge the “surrender” of our individual egos, the Course suggests that you need not surrender or fight against something that doesn’t exist to begin with. You need only recognize that your ego, like the body it calls its home, is a profound delusion. As the Introduction to the ACIM Text summarizes, “Nothing real can be threatened. Nothing unreal exists. Herein lies the peace of God.” Translation: What is real about us cannot be endangered. Since everything that is physical is threatened by decay or death, that means the entire material world is unreal and therefore does not exist. Under-standing this is the key to recognizing our spiritual reality – that is, we are love itself, and nothing else. This realization eventually brings us real and permanent peace in the midst of the shifting, chaotic illusions of the everyday material world. As radical as this diagnosis and prescription may sound, they’re not new ideas. Both Hinduism and Buddhism have long suggested that our most profound goal as human beings is to “wake up” to a higher order of reality than the web of illusion in which we are habitually snared. But A Course in Miracles has an uncanny way of bringing this kind of teaching home for the modern seeker. It’s much more than an intellectual philosophy to be pondered and discussed, then set aside while we deal with the everyday challenges and opportunities of the so-called “real world.” ACIM is actually intended to serve as a profound yet ultimately pragmatic basis for a new way of life based on a radically different grasp of reality itself. Over time, the Course delivers startling experiences of psychological challenge, spiritual insight, and healing in relationships. And it does so without requiring us to join a religion or move to a monastery, ashram, or lonely cave. This doesn’t mean that ACIM exactly meshes with a modern lifestyle. It’s not easy to accept that you’re crazy, or to submit to a demanding “mind training” that aims to overturn all your ordinary perceptions. As I’ll be commenting later in this book, even the most devoted Course students find themselves needing to take a break from the discipline from time to time (even for months or years). There is also a tendency to space out on the teaching, which has contributed to popular misperceptions of ACIM students as brainwashed cultists. As most veteran students will attest, the Course can be exceptionally difficult to comprehend, even after years of study and practice. That’s because it’s focused less on intellectual education than on a genuine transformation of the human mind and heart. And transformation is usually a sloppy, unpredictable, and emotionally riotous process. The aim of this book is to help Course students at any level of experience, including beginners, negotiate some of the teaching’s mysteries, hairpin turns, and ego-dropping challenges with a bit more ease than they might otherwise. With a quarter-century of ACIM study behind me, I don’t claim to have a perfect or even advanced understanding. But I have worked through some of the early misconceptions and thorny developmental stages that often confuse newer students. I have written and spoken for many years about the Course with the combined perspective of a journalist and a student, and I’ve coached students privately. I’ve also interviewed leading teachers and hundreds of other students, as well as scholarly observers and critics of ACIM. Much of that work is summarized in my previous book Understanding A Course in Miracles: The History, Message, and Legacy of a Spiritual Path for Today (Celestial Arts/Random House). Readers can refer to that book for a more detailed history and critical commentary on ACIM than I will present in this volume. This book is a “how-to” guide with just enough history and background to introduce the Course to newcomers, while providing some new perspectives and insights to veteran students. To tell the truth, I often have the feeling that no one presently alive understands the Course entirely. That’s why I cut a lot of slack for myself, and for other students who may not seem to be “getting it” in the same way I am. The Course is clearly not for everyone, and even those who gravitate to it as a lifelong path are pointed toward an understanding of life, self-awareness, and the cosmos that may well take several more generations of students to reach maturity. ACIM has only been with us for thirty-odd years now, which means it’s in its infancy as a spiritual path. Given that novelty, it’s remarkable that the Course already has millions of students worldwide and exerts as much cultural influence as it does. The apparent purpose of a “course in miracles” surfacing in our times is to familiarize a growing number of people with a profoundly healing perspective on their lives. Just as a foreign language curriculum gradually makes us familiar with a vocabulary and a culture that may at first seem exotic and impenetrable, this spiritual curriculum intends to make us conversant in a new, surpassing language and culture of love. When we can naturally speak that language and act reflexively on the basis of love, then we will be living in an entirely different world, even if it is unimaginable from our current point of view. If this book helps even a few students grasp the Course as a new kind of common sense, then all my years of study, periodic bewilderment, and occasional breakthroughs will have been doubly worthwhile.